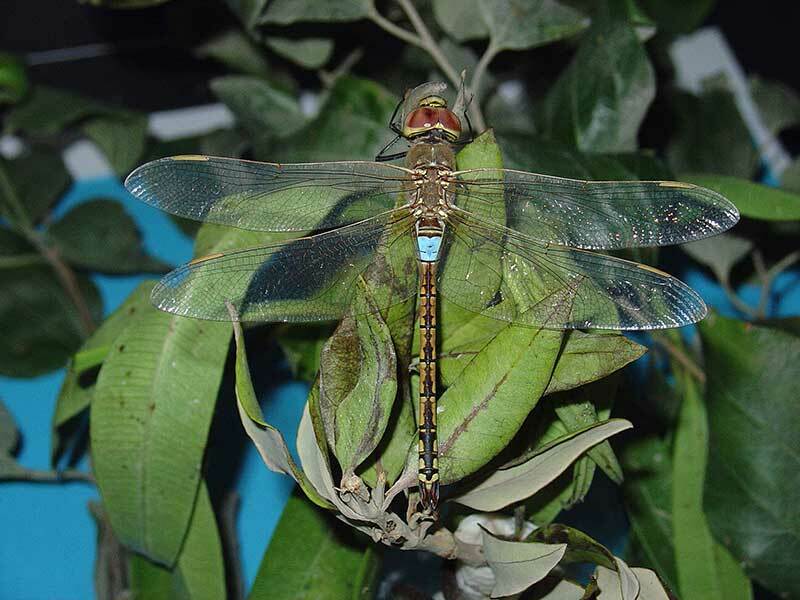 Insect follows Aeshnidae family, and Odonata order. It is brown with blue spots, wings are clear membrane. Size is about 60-70 mm. Adults have strong wings, help them fly fast and chase prey. Adults are predators to flying insects especially flies and mosquitoes. Nymphs live in water, and are predators to mosquito’s larvas and micro-organisms living in water.